After failing to secure any orders from the MiddleEast, Norinco has managed to sale a few copies of the LD2000 Land Based CIWS to the PLA. 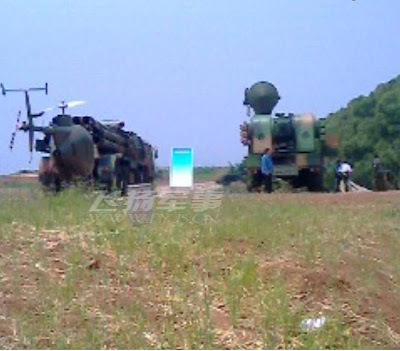 Not sure how widespread this land based Type 730 will enjoy in the PLA service. Like the land-based version of the naval CIWS Type-730, the LD-2000 combines a seven barreled 30mm Gatling gun with 6 TY-90 SAMs. 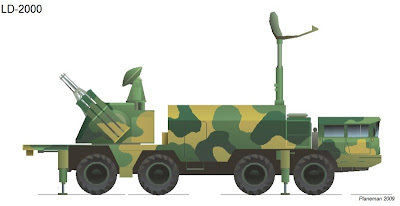 The system is likely to have a similar overall capability to the US C-RAM but with extended range, thanks to the 6km reach of the TY-90s. 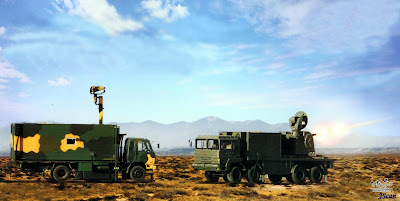 However, rather than just anti-mortar defense the LD-2000 is more likely employed for point defense of key installations and facilities from cruise missiles, PGMs and fast jets at low altitude. 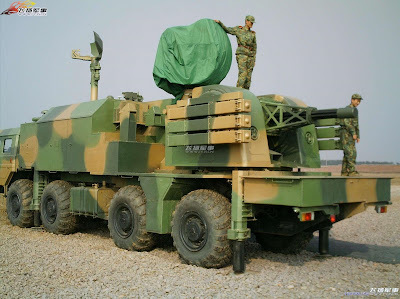 According to Norinco, LD2000 can engage cruise missiles with an RCS of 0.1 m2, up to a maximum speed of M2.0. 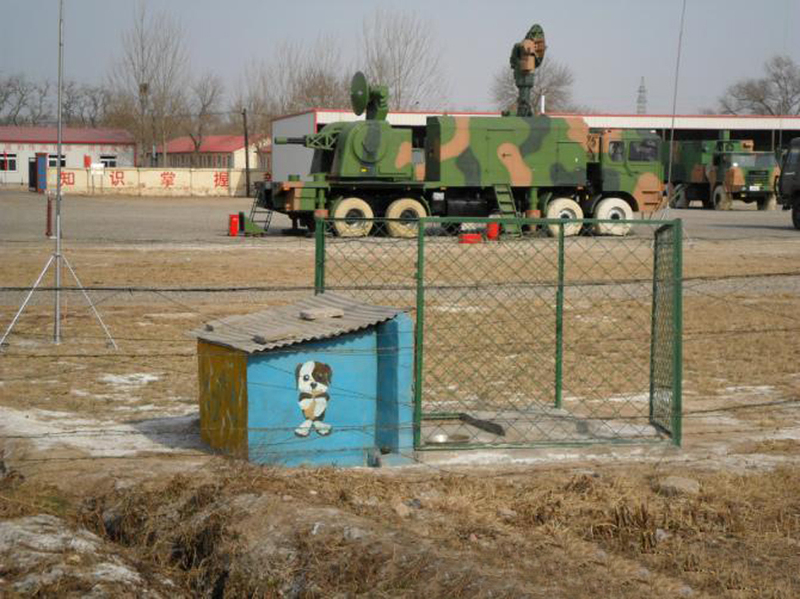 The system is also claimed to have a multiple-target engagement capability and be able to operate in an electronic counter counter-measure environment. Nice dog house, I like it. 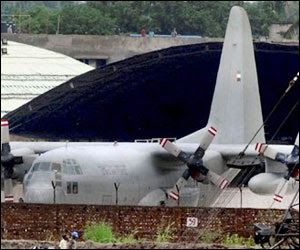 After being detained for 72 hours the C-130 and its 9 crew members were released and on their way to their original destination of Xiangyang China after the UAE government issued an apology; blaming the omission in the cargo declaration on a technical error. (here) Since the cargo was sealed during the episode, speculation concerning the content was abound, ranging from illegal US Harpoons, (here) to US Maverick or French MICA missiles to Pakistan. (here) (here) In other words, people were just guessing. Back in June 2009, Norinco’s Kunlung Company shipped an entire LD-2000 air-defense system to UAE via a rented Russian An-124 for evaluation (here) . After 22 days, the evaluation was considered a success, with a final live-fire demo in front of the PLA’s defense attaché and other high ranking UAE officers. While the detained UAE C-130 may not contain the returning LD-2000, it must be noted that like Kuwait and Saudi Arabia, the UAE has an active military exchange program with China, a fact missed by many pundits. 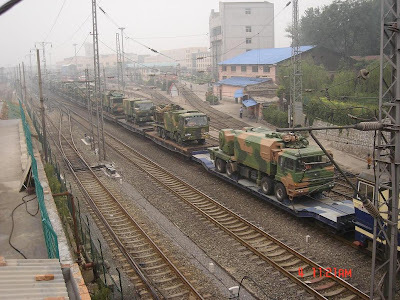 In that light, it should not be a surprise to see military equipment in transit to China from UAE. Maybe next time someone will double check the paperwork and train the crew in simultaneous winking when embarking on such clandestine operations. Photo of the LD-2000 under eval in UAE. 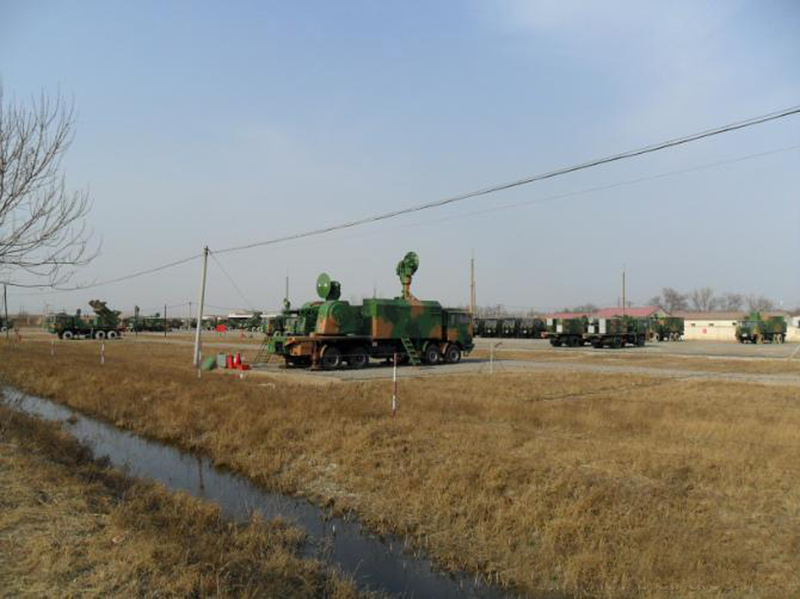 Photos of LD-2000 in China. The land-based version seems a little sparse compared to it's naval counterpart. The is no electro-optical sensor unit beside the fire-control radar, although it does carry the 6 TY-90 SAMs. The best of both worlds would be having both the SAM's and the electro-optical system. The new pictures reveal an different search/cuing radar, with a round dish vs the former oval dish.